My first fave is some trusty sunglasses. 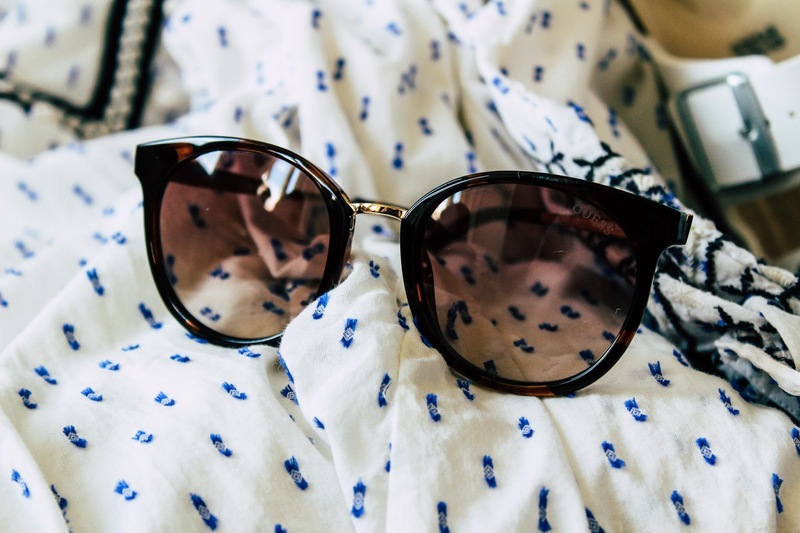 I am never without sunglasses, even in winter as it's so important to protect your eyes. I picked out some eye wear from the designer range at Sunglasses Shop and they haven't left my face. 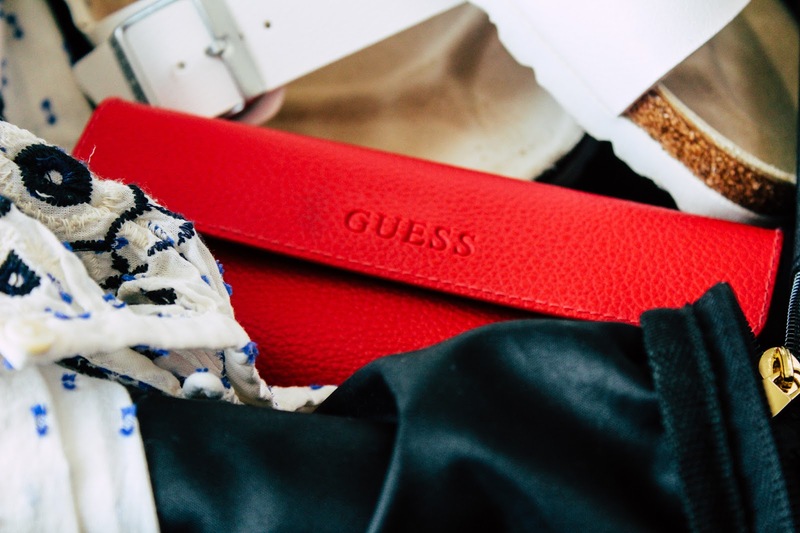 The Guess Dark Havana glasses (£80.00) are a framed round design with tortoiseshell body and come with a protective case so I don't have to worry about damaging them when I throw them in my bag. You can also get 20% off at Sunglasses Shop with the code Alice20. Next up is something I wouldn't be without when travelling as you cannot always trust hotels to have them. 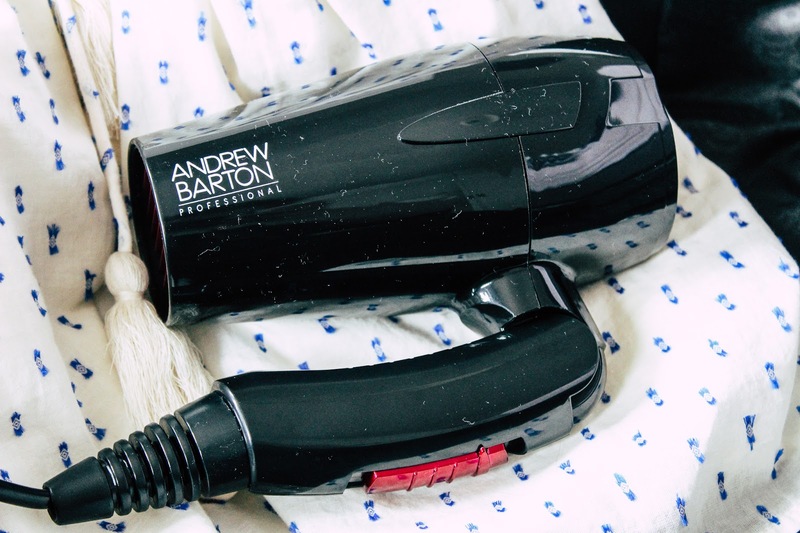 The Andrew Barton Travel Blow Dryer (£19.99) is an amazing 2000w, super lightweight and folds down so it's really compact. 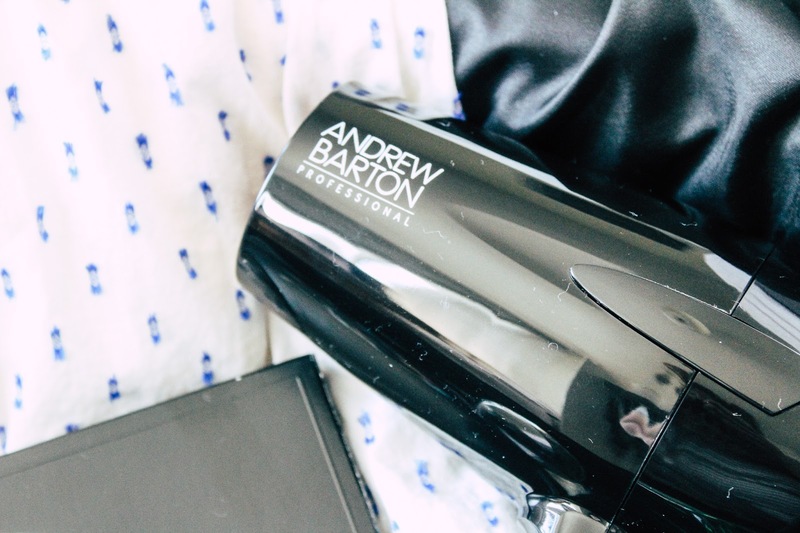 Travel hair dryers have really come on because this works so quickly, delivers incredible results and has ionic technology so I have fabulous hair wherever I am in the world. 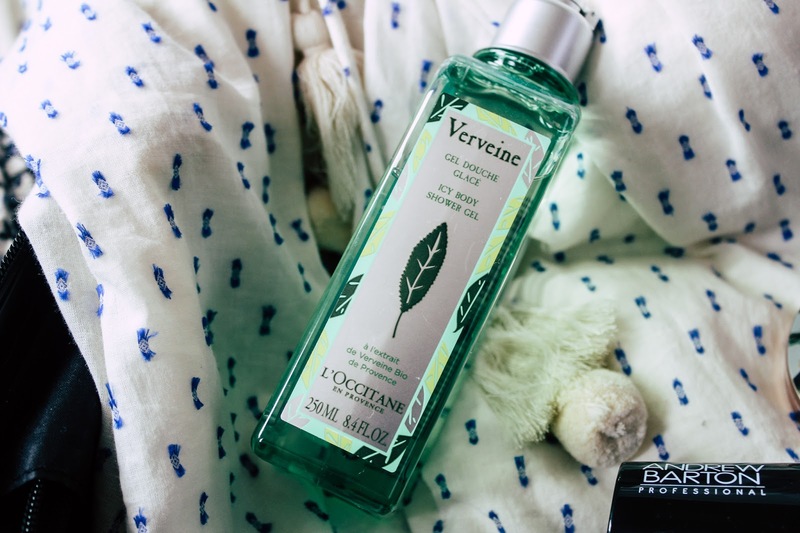 Right in time for the summer months, L'Occitane released the new Verbena Collection featuring some icy faves as well as a touch of mint and lemon. I have the Verbena Icy Shower Gel (£16.50) which is a tantalising mix of verbena and menthol to awaken the skin, perfect on those hot summer days. Keeping with those cooler scents I've also recently added the Molton Brown Coastal Cypress & Sea Fennel (£69.00) to my perfume collection. 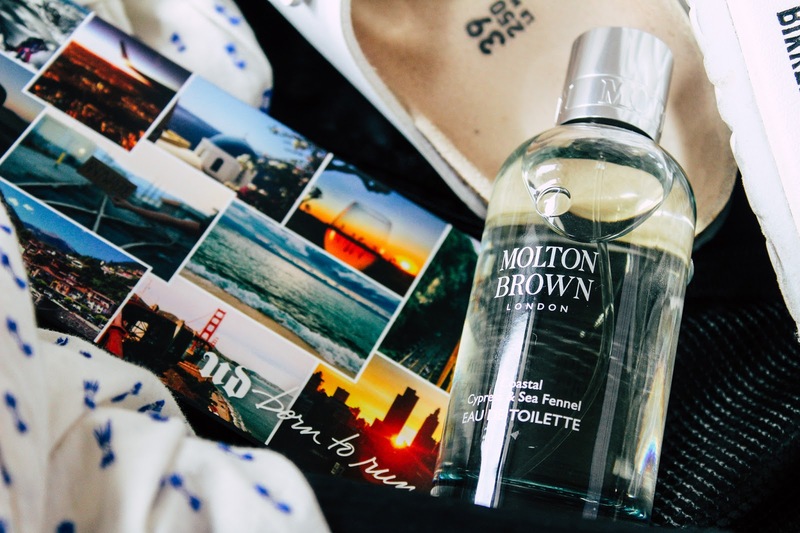 For the first time, you can now purchase Molton Brown fragrances in 100ml bottles. Each scent comes in a beautiful glass bottle in Molton Brown's iconic design making it the perfect treat for yourself or a loved one. I have my eye on Orange & Bergamot next. My last item is the Urban Decay Born to Run (£39.50) makeup palette, this little baby is the only thing you'll need thanks to the range of colours, slim hard case and huge mirror. 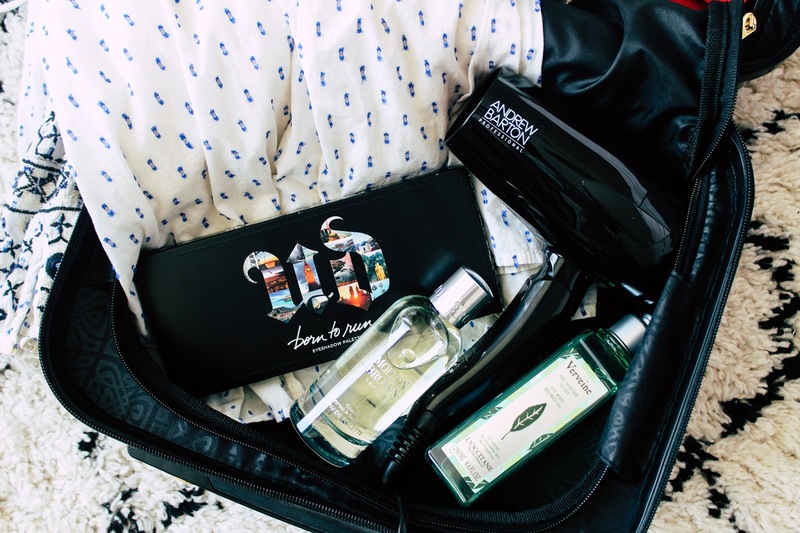 It's a makeup lovers dream and a travellers best companion. I've reached for this more times in the last month than I can remember, be it for a neutral day look or something warmer for the evening. It's really versatile. So there you have it, five of my travel favourites for this summer. Tell me some of yours! That hairdryer looks so handy!! Sunglasses are a must - my day is literally ruined if I forget them!! Love that the hairdryer folds down like that! So convenient and means there's more space for shoes! That palette and those sunglasses are just SO nice! I got the chance to ee this palette recently and it is so pretty! The mirror is such a good size too! I love those sunglasses! I’ve been trying to find a decent travel hairdryer so I’ll check this out too! I love those sunglasses! They’re so nice! That hairdryer looks so handy. I have to admit that I am defo a low key Larry when it comes to travelling. Defo a travel light kinda girl! I love mini sizes for travel!